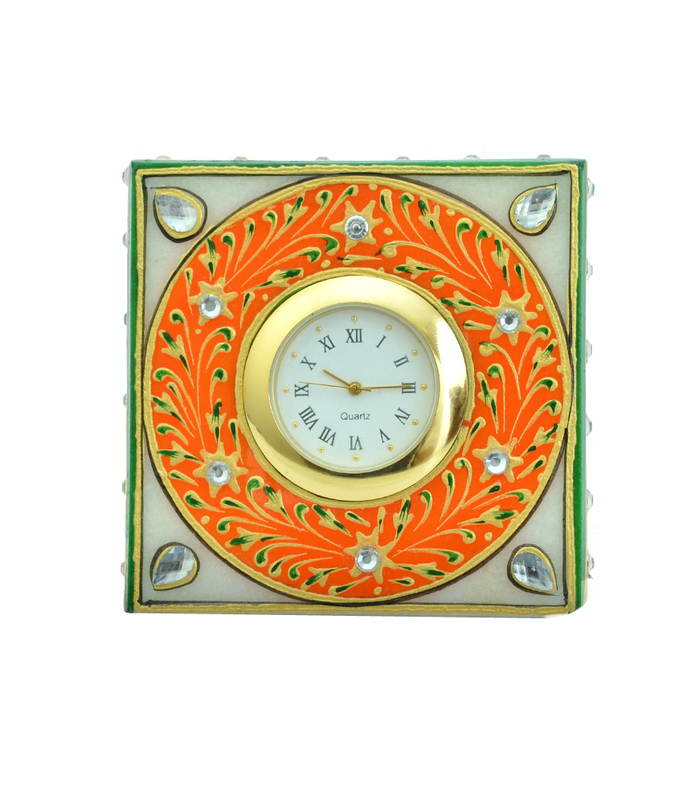 This marble table watch is artistically embellished with intricate meenakari works of floral patterns. Make your office desk, children's desk and computer table look fantastic with this glamorous Marble watch by kriti creations. Crafted in pure white marble, it is embellished with Meenakari and kundan work that is complemented by expert enamelwork. 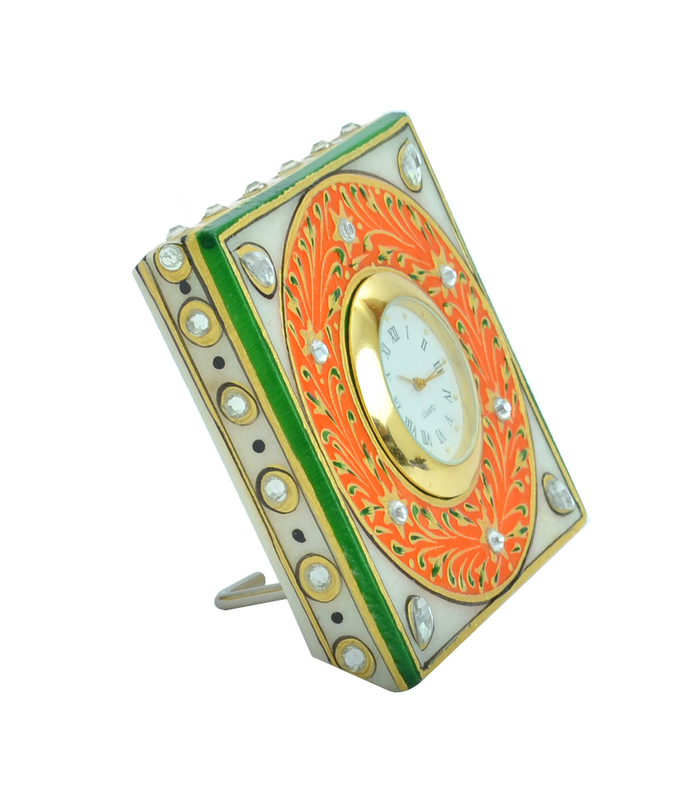 These table watch are fantastically crafted with classical designing by skilled craftsmen giving it a traditional look. Each piece reflects the artistic qualities and time one has taken to shape these appreciative decors. Exquisitely designed and intricately crafted, it makes for a perfect gifting option. Product colour may slightly vary due to photographic lighting sources or your Screen settings.